This guide will walk you through everything you need to know to get your account activated and ready for use. Please reach out if you need any support along the way. 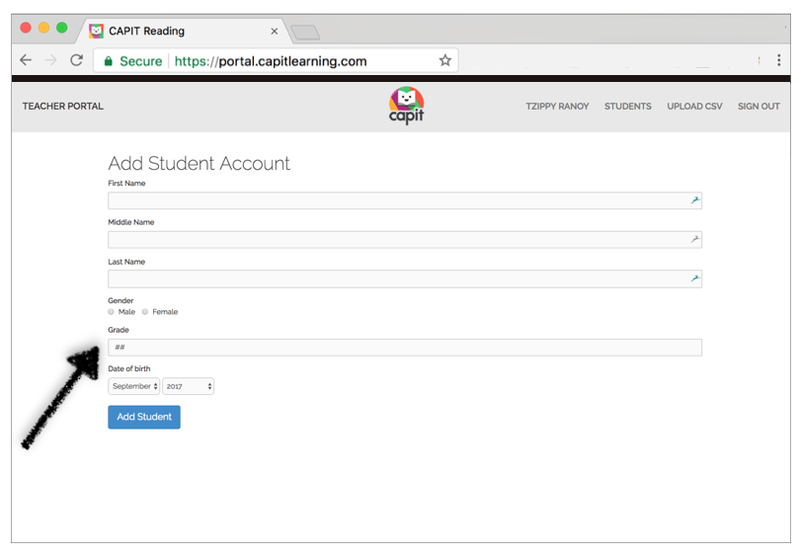 You can reach us at support@capitlearning.com. 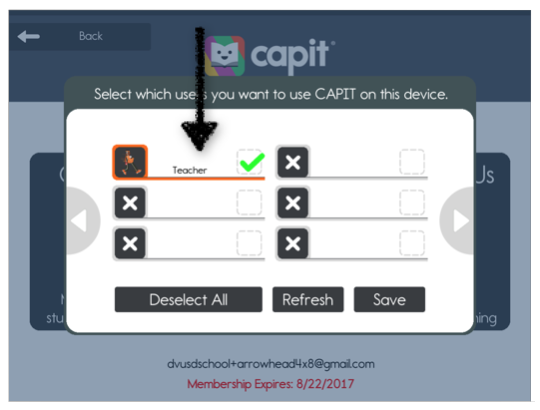 Need to set up CAPIT on your iPads? 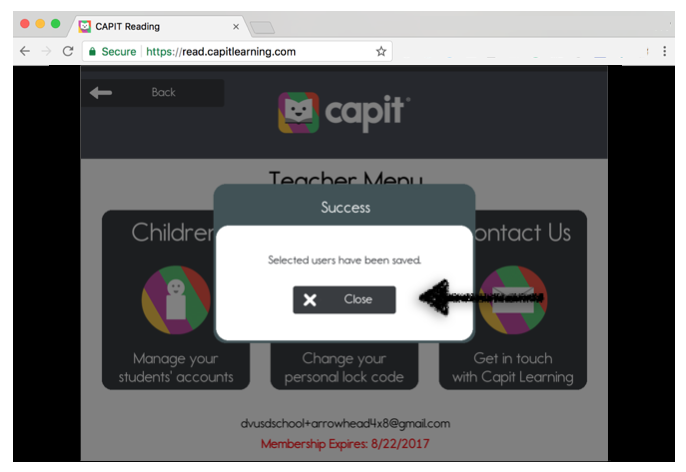 Need to set up CAPIT on Chrome? 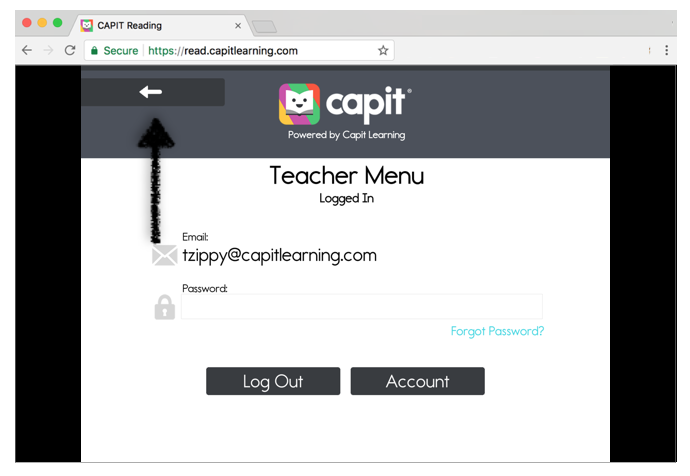 This guide will walk you through everything you need to know to get your students' accounts activated and ready for use. Please reach out if you need any support along the way. You can reach us at support@capitlearning.com. 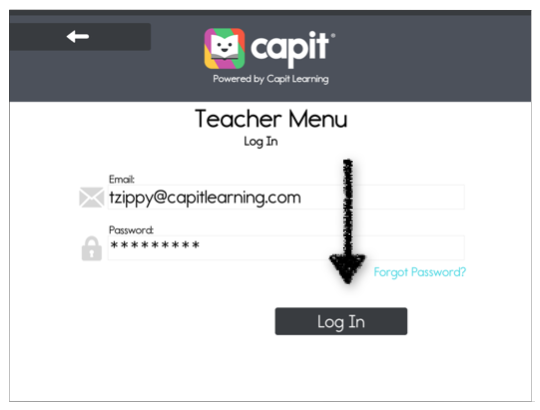 If your account is preloaded with your students, you can skip this step. This guide will walk you through everything you need to know to get your Students' Profile and your Teacher Profile set up on your iPads. Please reach out if you need any support along the way. 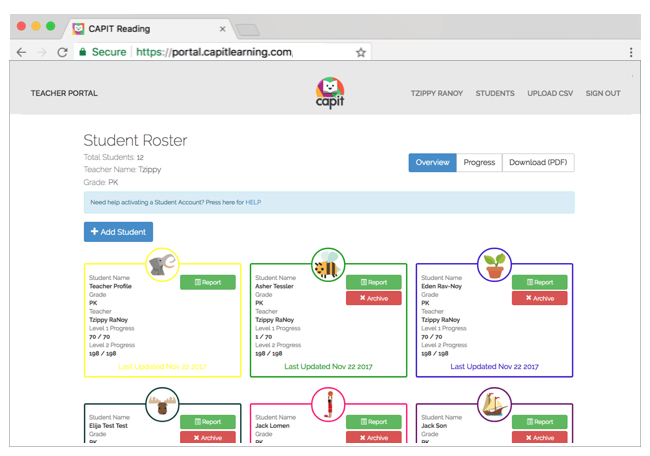 You can reach us at support@capitlearning.com. If your Students' Profiles have not been Activated, please do so before continuing with this step. For more details see: STUDENT PROFILES: Creating and Activating Student Profiles. 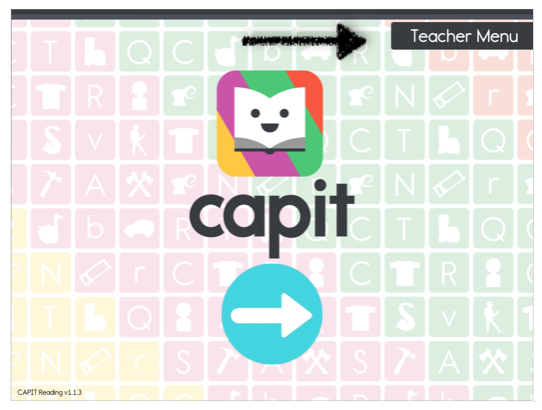 Download the latest version of CAPIT Reading in the App Store. Please do NOT download the CAPIT Books app. 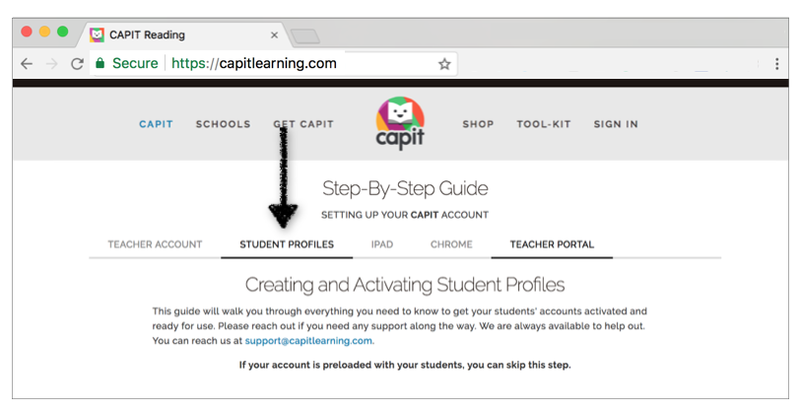 This guide will walk you through everything you need to know to get your Students' Profiles and your Teacher Profile set up on your Chrome-enabled devices. Please reach out if you need any support along the way. 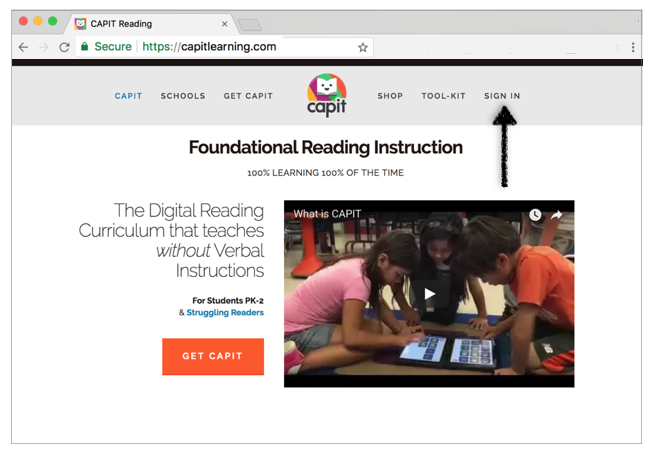 You can reach us at support@capitlearning.com. It might feel like the Chrome version of CAPIT is not as responsive as the iPad version (it might even act up at times). This is because the iOS app resides on your iPad, whereas the Chrome app resides in the cloud on our secure servers. This means that your computer needs high internet speed to continuously talk to our servers. That's why when your internet is slow, the iOS App feels more responsive than the Chrome App. 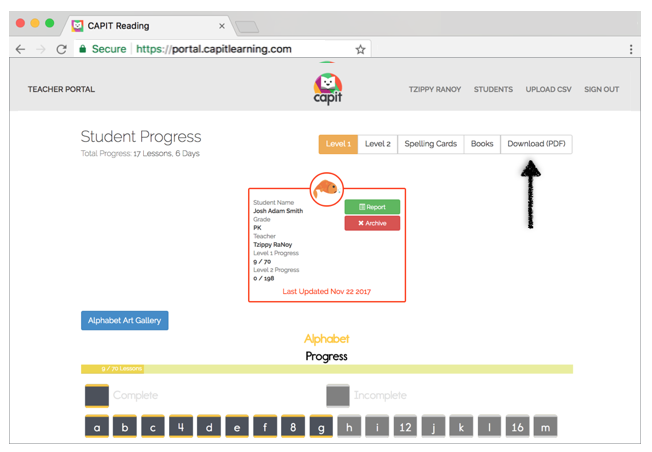 The best way to handle this is to tell your students to be patient and give CAPIT a few seconds to load. 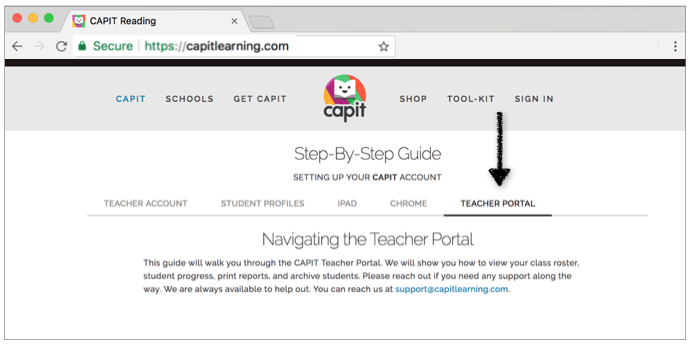 This guide will walk you through the CAPIT Teacher Portal. We will show you how to view your class roster, student progress, print reports, and archive students. Please reach out if you need any support along the way. 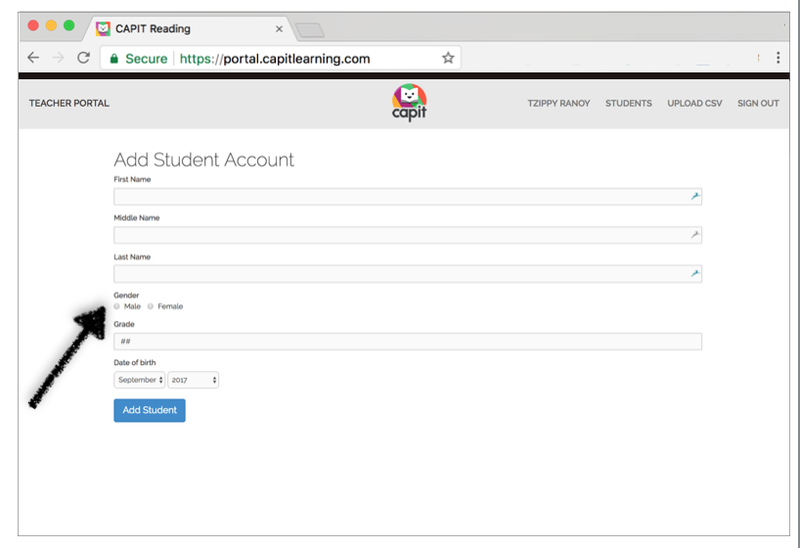 You can reach us at support@capitlearning.com.